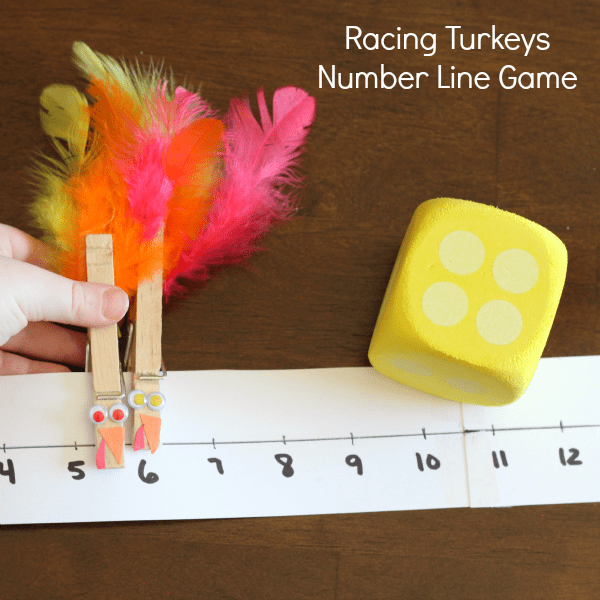 This racing turkeys number line game is a hands-on way to play and learn numbers this Thanksgiving! 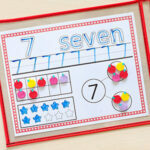 It’s a great way to develop fine motor skills too. 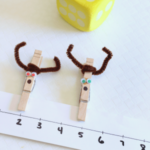 Last year, we had a blast with this Racing Reindeer Number Line Game, so I decided to make a Thanksgiving version. 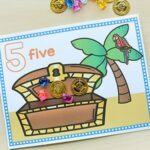 It was just as easy to make and just as fun too! 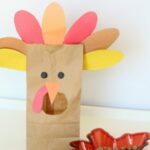 * You could also skip the googly eyes and construction paper and just use colored markers to draw the eyes, beak and wattle on. Not sure why I didn’t think of this before doing it the other way! Put the eyes, beak and wattle on the clothespins. 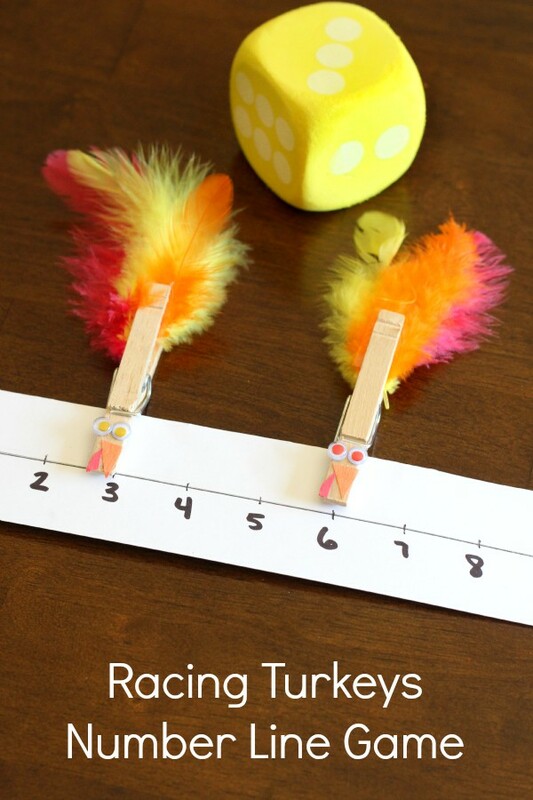 Tape or glue the feathers to the clothespins. 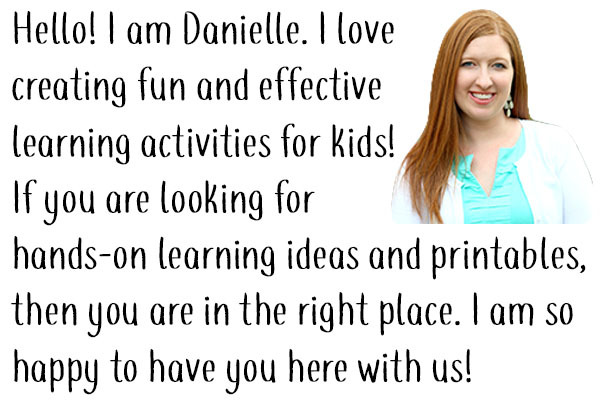 Cut the poster board or cardstock into two long strips. Tape the strips together. 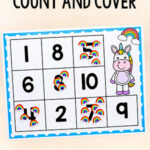 Use a ruler to make a line across the strips and to space out the numbers along the line. Our number line went to 20. 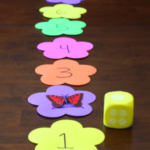 To begin, my son rolled the die and then identified the number represented by the dots. 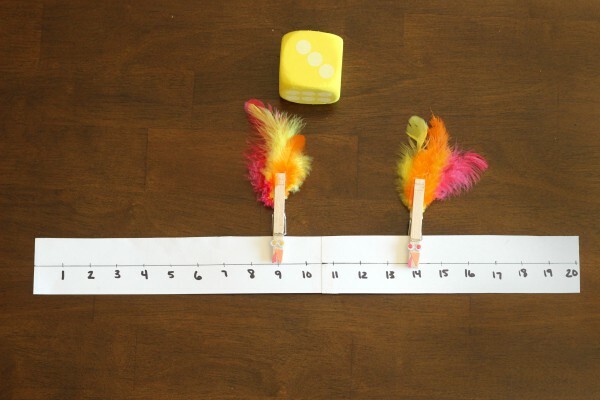 Then he moved his clothespin turkey that many numbers on the number line. 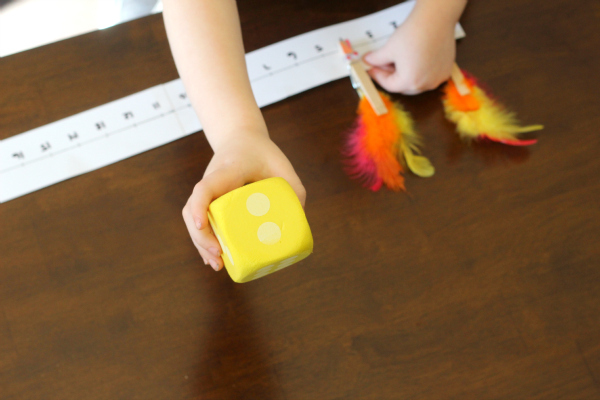 Then it was my turn to roll the die and move my turkey along the number line. This continued until one of us reached the end of the number line first. We played several times and my son beat me all but one of them! That’s the beauty of a game like this. Anyone can win!